The team restored the significant, historic Front-of-House areas to their original grandeur while integrating the equipment, technology, and support spaces necessary to transform a classic movie palace into a venue suitable for hosting today’s live productions. 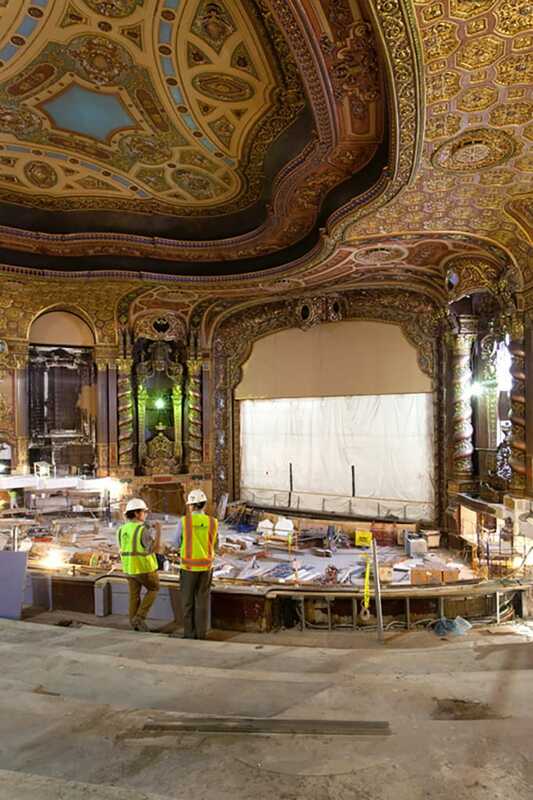 Client Name: Kings Theatre Redevelopment Co.
Gilbane provided construction management services for the restoration, expansion, and modernization of the 1929 historical landmark theatre in Brooklyn, NY. 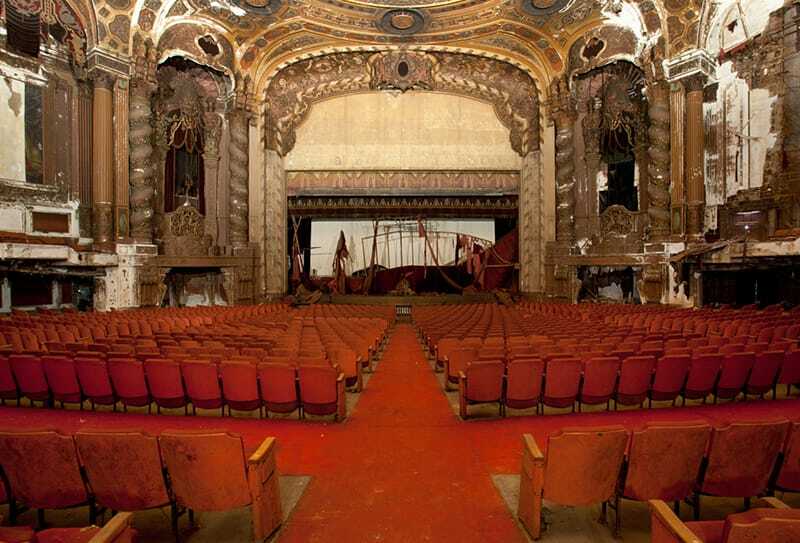 The restoration transforms the vacant theatre into a premier performing arts venue that serves as both a cultural hub and catalyst for economic growth in Brooklyn. The team restored the significant, historic Front-of-House areas to their original grandeur while integrating the equipment, technology, and support spaces necessary to transform a classic movie palace into a venue suitable for hosting today’s live productions. The goal of balancing these preservation concerns with the creation of a modern performance facility was one of the most challenging aspects of the project. The design team met the Secretary of the Interior’s Guidelines for the Rehabilitation of Historic Structures for all restored areas, both interior and exterior. 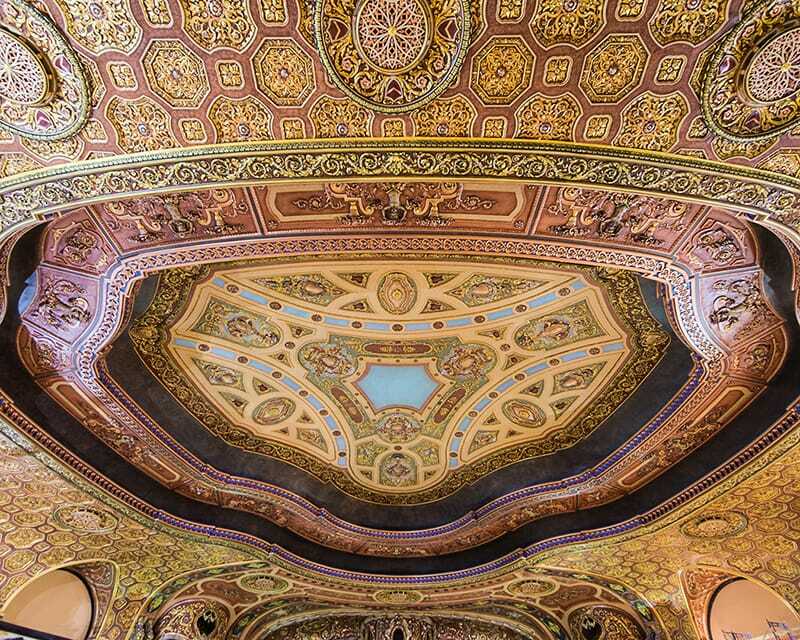 The work includes restoration of the marquee, terracotta and brick facades, as well as major rehabilitation of the interior spaces including significant plaster and wood repair. The original theatre is expanded from its nearly 85,000 square feet of space to 105,000 square feet including a two-story addition to the back of the theatre stage, enabling the theatre to be used as a live performance venue with a suitable backstage area not originally part of the theatre. 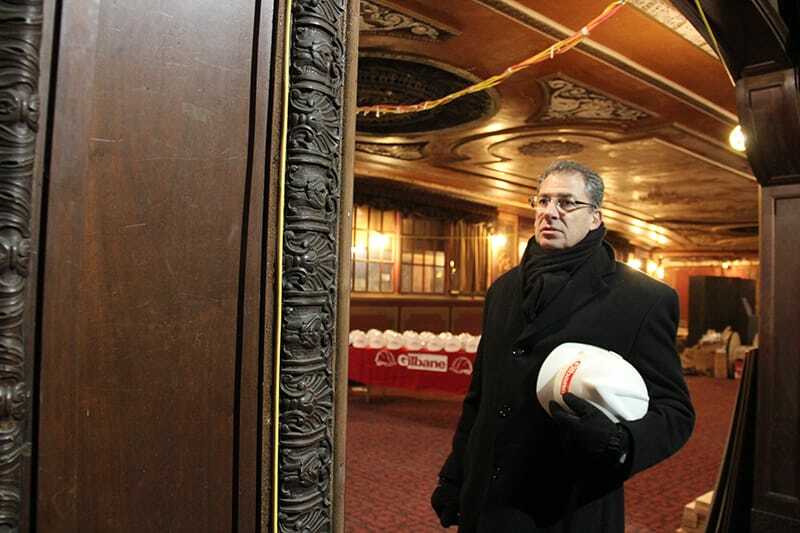 The theatre is expected to host between 200 and 250 live performances a year and become the largest theatre in Brooklyn, and the third largest in New York City! Learn more about upcoming events in 2016. As part of the project, a community outreach program was developed to utilize local workforce, subcontractors and materials. Hundreds of construction jobs were created through the project in addition to 50 projected permanent positions in the community. Kings Theatre won the Building $10-199 Million Renovation category at the AGC Alliant Build America Awards, held in San Antonio in March, 2016.